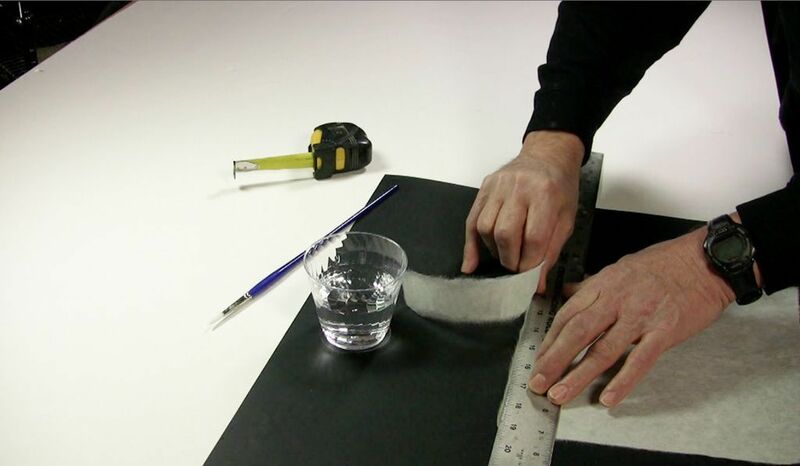 Making Japanese hinges is one of the preferred and time proven methods used by conservators and preparators to attach fine art works on paper to a backing board. 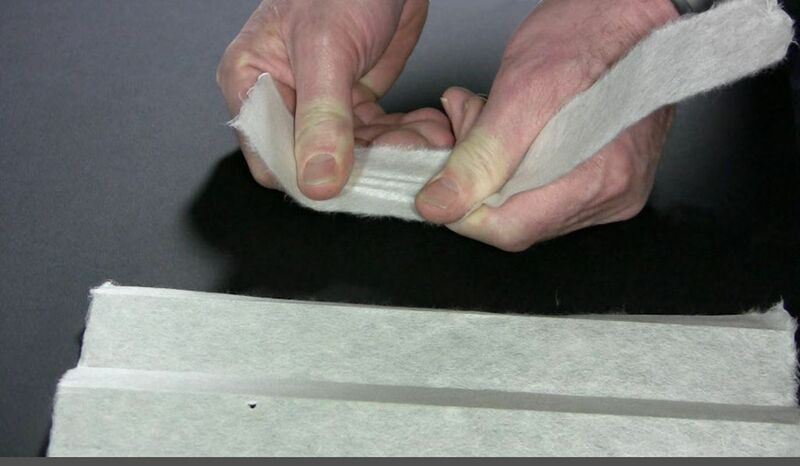 See our framing advice pages on making wheat paste and methyl cellulose to learn how to make the paste to adhere the Japanese hinges. Assemble the tools and materials. 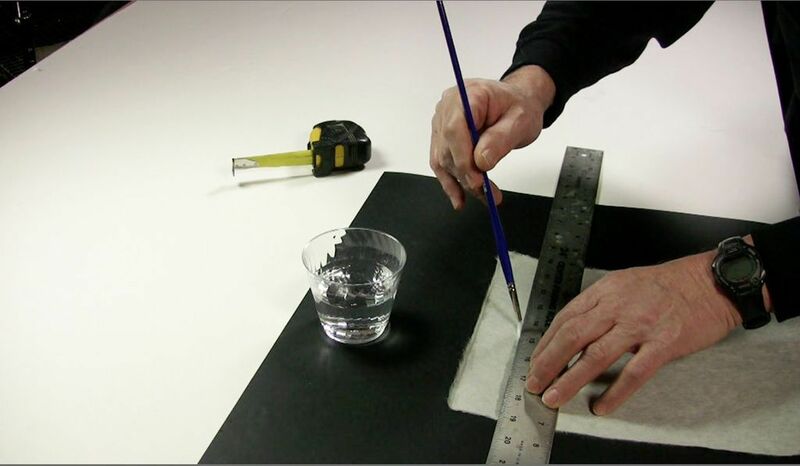 To make Japanese hinges you will need a thin watercolor brush and water. The ruler, tape measure, and straight edge are used to make the hinges a consistent size. Select the paper. 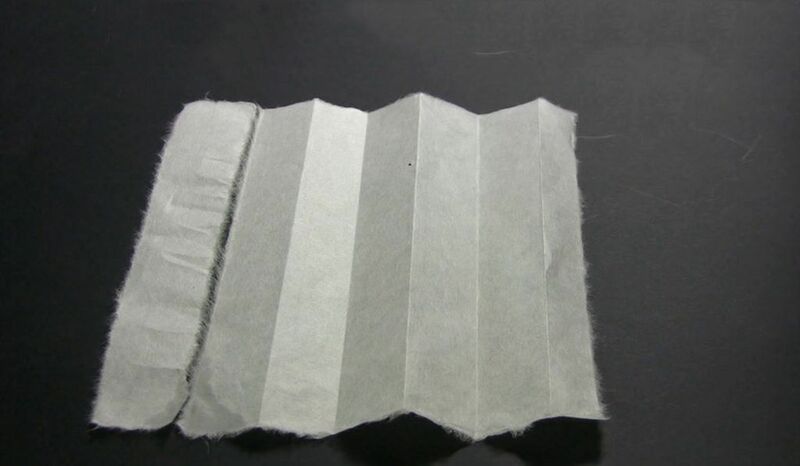 Japanese paper is called Washi. It can be purchased in different weights and colors. We recommend the hand made papers. For most applications a heavy, medium, and light weight paper will suffice. The weight of the Japanese paper should closely match the weight of the artwork. Color is only a consideration if the color of the hinge will show when it is attached to the back of the artwork. Determine the direction of the grain. 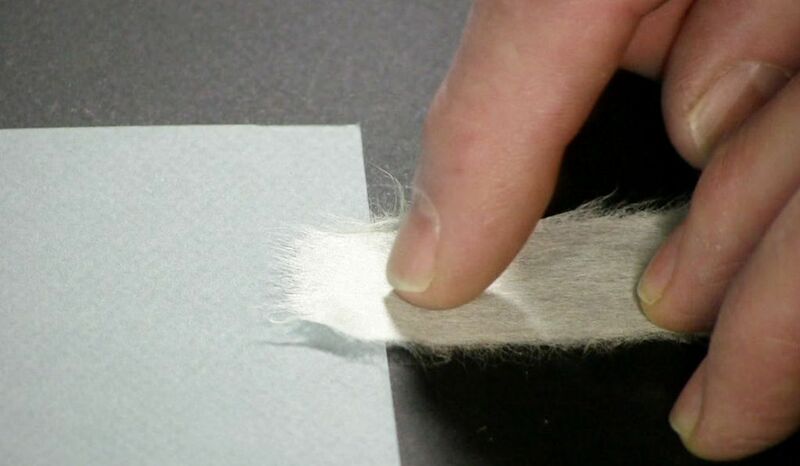 All hand made papers are made out of fibers and have a grain direction. 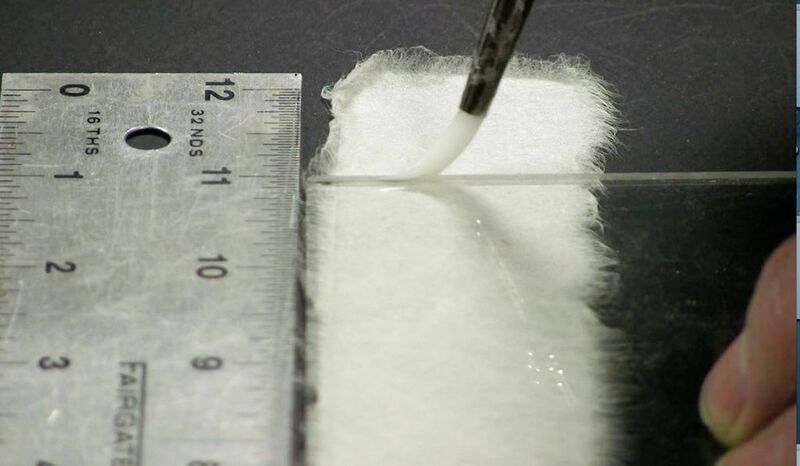 It is important to determine the direction of the grain of the paper because it will determine the strength of the hinge. One method to make sure that you have the hinge running the right direction is to use the chain lines as the side edges of the hinge. FRAMER'S TIP: The hinge is very strong along along the direction of the grain and tears more easily if it is torn against the grain. FRAMER'S TIP: The reason it is so important to determine the direction of the grain is that you want the fibers of the hinge running perpendicular or vertically to the artwork. This will ensure the hinge is stronger and will last longer. Wet the paper. 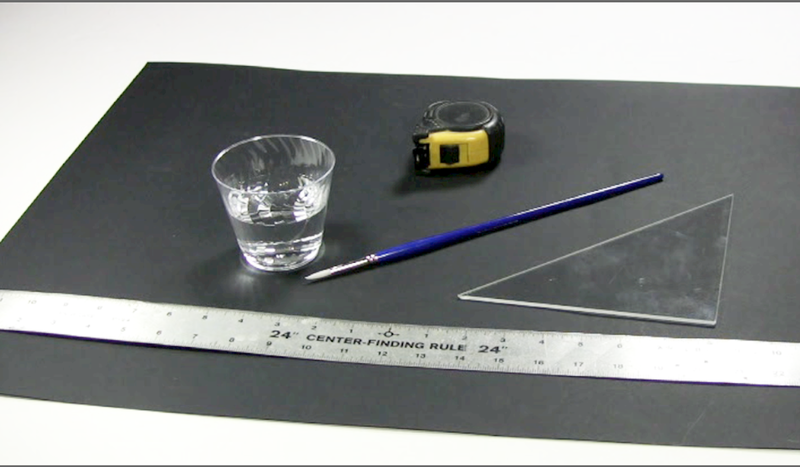 Taking a clean water color paint brush, dip it in water and make a stroke against the straight edge. 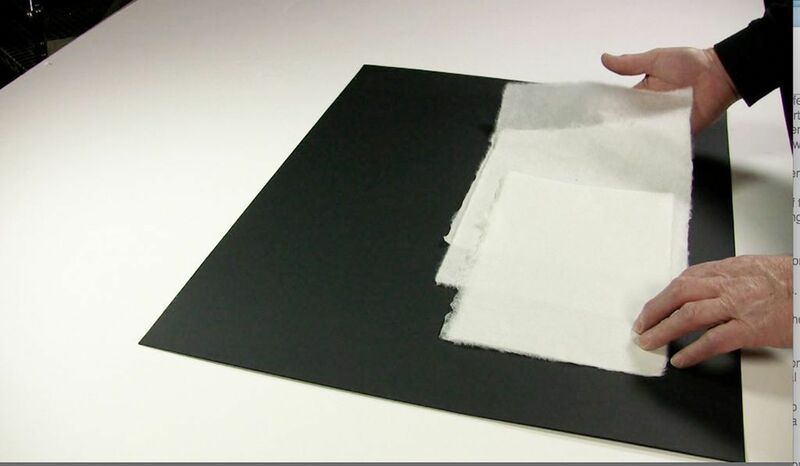 Make sure you use sufficient water to soak the paper. Tear the paper. Tearing hinges this way is creating ‘feathers’ on the long fiber of the paper which will make the edges of the hinge less noticeable behind the artwork. Now take your hand and gently tear the paper along the straight edge. Cross cut the hinges. Use the same technique to tear the hinges the size you need. Make as many hinges as you need to adhere your artwork. See Attaching hinges to artwork , attaching T-hinges, and attaching V-hinges will demonstrate the different applications for using Japanese paper hinges.